The present study aimed to differentiate Mimosa scabrella Bentham (bracatinga) honeydew honeys from blossom honeys, with and without addition of heat treatment, and bracatinga honeydew honeys adulterated with blossom honeys (5, 15 and 25% of blossom honeys), using chromatic characterization associated with chemometric analysis. Bracatinga honeydew honeys presented unusual chromatic characteristics which allowed differentiation of blossom honeys by principal components analysis. Additionally, a classification model was developed in order to establish clear rules that characterize each group of honey. The proposed model correctly classified bracatinga honeydew honey and blossom honey samples, with and without heat treatment. Only two samples adulterated with 5% blossom honey were misclassified. 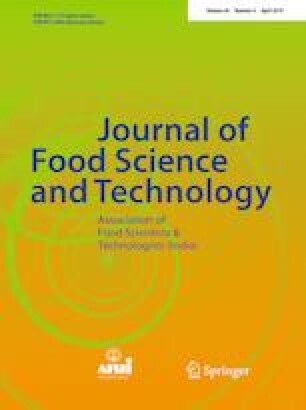 The chromatic analysis associated with chemometric analysis showed promising perspectives for its exploitation being able to be used for screening and selection of bracatinga honeydew honey, fresh or thermally treated as well as fraud detection. The online version of this article ( https://doi.org/10.1007/s13197-019-03737-2) contains supplementary material, which is available to authorized users. This study was financed in part by the Coordenação de Aperfeiçoamento de Pessoal de Nível Superior - Brasil (CAPES) - Finance Code 001. Authors also wish to thank the Conselho Nacional de Desenvolvimento Científico e Tecnológico - Brasil (CNPq), the Fundação de Amparo à Pesquisa do Estado de Santa Catarina - Brasil (FAPESC) and the participating beekeepers from the mountain plateau region of Santa Catarina state.